Michael Gallagher is a writer/director/producer in Los Angeles, CA. In 2009, Gallagher founded the hit YouTube comedy channel Totally Sketch, gaining over 1.2 million subscribers and half a billion views. This led him to become the Co-Founder and creative executive of Maker Studios, the world's largest digital talent network. In 2014, Maker sold to The Walt Disney Company. Gallagher transitioned into directing feature films in 2012 with the teen horror film SMILEY starring Caitlin Gerard, Shane Dawson and Keith David. The film received a theatrical release through AMC Independent and went on to gain a cult following. To this date, thousands of people continue to dress up as "Smiley" every year for Halloween. In 2015, Gallagher co-founded the production company CINEMAND with fellow producers Jana Winternitz & Michael Wormser. Through Cinemand, Gallagher has co-written, directed, and produced three feature films: the dystopian action thriller THE THINNING for Legendary, the mockumentary comedy INTERNET FAMOUS for Lakeshore's Off The Dock, and the up-coming dark comedy FUNNY STORY starring Emily Bett Rickards. INTERNET FAMOUS was acquired by Netflix and released in June 2016. 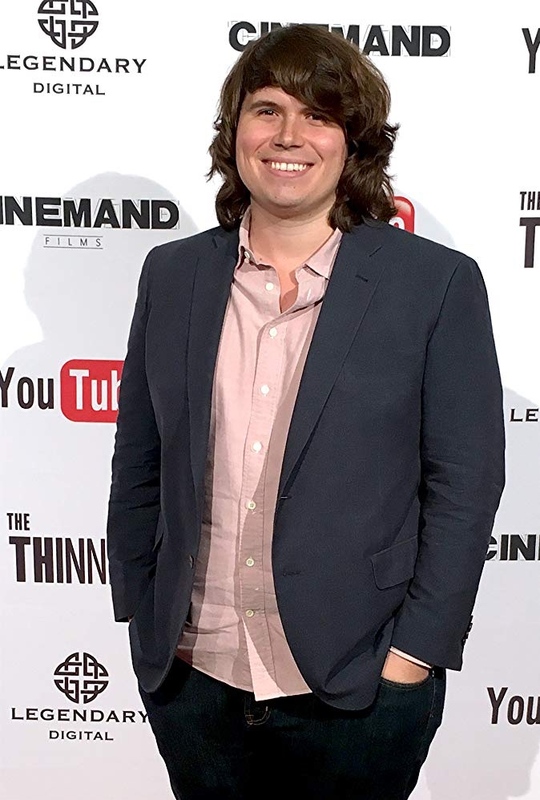 THE THINNING was bought by YouTube Red and released in October 2016. FUNNY STORY was an Official Selection at the 2018 Slamdance Film Festival and premiered January 2018 in Park City, Utah. Most recently, Gallagher finished principal photography on THE THINNING: NEW WORLD ORDER. Gallagher produced, co-wrote and directed the sequel under his Cinemand banner for Legendary & YouTube Red. Tell us your backstory. How and why did you get into filmmaking? I was born in San Diego, California. Began my career on YouTube, creating sketch comedy videos with my friends on a channel called Totally Sketch. We garnered over 1 million subscribers and I then became one of the original co-founders of Maker Studios, a digital content studio and multi-channel network. The company sold to Disney in 2014. Since then I’ve been focused on co-writing and directing films through my production company Cinemand. So far I have directed five features: Smiley(2012), Internet Famous(2016), The Thinning (2016), The Thinning: New World Order(2018) and the upcoming Funny Story(2019) that screened at the 2018 Breckenridge Film Festival. A great film is one where you become so engrossed with what’s unfolding that you forget where you are! It transports the viewer and suddenly— you feel like you are an active participant. The general ingredients include: a compelling story, characters who feel authentic to the world they inhabit, and an unpredictable storyline filled with scenes so original they can’t be forgotten. Alexander Payne’s Sideways, Robert Zemeckis’ Contact, Mike Nichols’ The Graduate, Nancy Meyers’ Something’s Gotta Give, Christopher Guest’s Best in Show, and Maren Ade’s Toni Erdmann. These films are all grounded character studies where outrageous things happen. I love the themes of faith, family, struggling to find your place in the world, forgiveness, and coming of age (even if you are over 50). I have directed five feature films. My favorite being Funny Story(which won four awards including Best Comedy at the 2018 Breckenridge Film Festival!). It was a true passion project where we financed it ourselves because we wanted to make it without interference. Every part of it was done as it was intended which is extremely satisfying and rare to achieve on such a limited budget. We shot the film in 15 days up and down the California coast. Our cast and crew became a family making that film and it’s an experience I will cherish all my life. 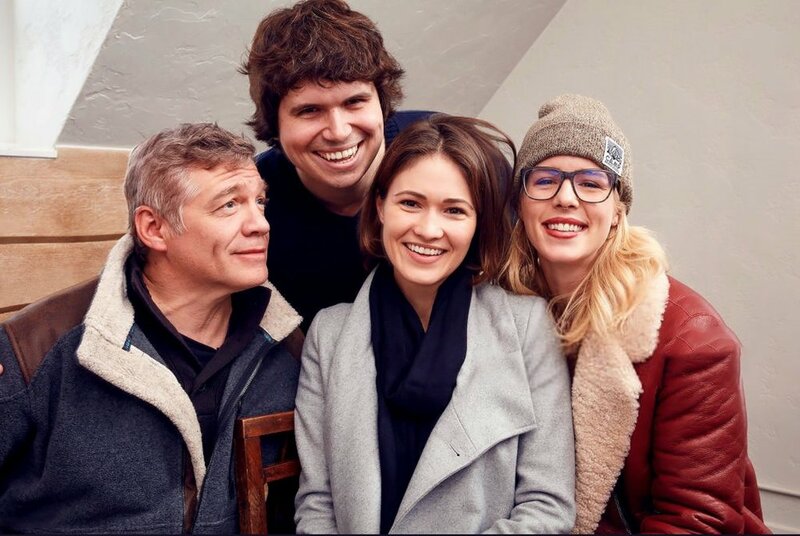 Our lead actors Matthew Glave, Emily Bett Rickards and Jana Winternitz give such honest and beautiful performances. It’s been a joy to share their work with film festival audiences around the world. One of my favorite quotes is from Ernest Hemingway, “Write hard and clear about what hurts”. I think whatever we are struggling with is what we put into our work. I struggled with forgiveness and wanted to make film about it. I thought about what it might be like to do something unforgivable and use that discomfort to create comedy. Steve Greene (co-writer) and I like to mine our own experiences when writing to make the scripts as truthful as possible. The Breckenridge Film Festival has been on my radar for a number of years because of the quality of the films selected and the gorgeous setting. Since Funny Storywas a small indie film, we were looking to raise awareness to film fans outside of LA & NY. Breckenridge was the perfect spot. Our lead actor, Matthew Glave, attended the festival and was treated incredibly well by the kind staff and festival audience. He made us all extremely jealous of the experience! Can you describe the business behind independent filmmaking and how you are trying to get your film seen? You know what helps the most? Positive reviews by film festival audiences on IMDb and Rotten Tomatoes. Those help us out tremendously. Whenever people hear about something new, they look to see what the ratings are— so the higher our numbers, the better chance we have to get more people to see the film! 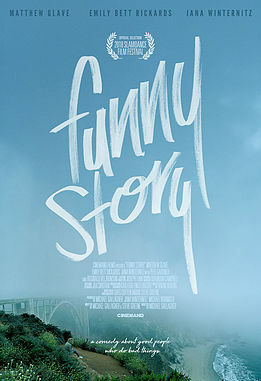 If you have seen Funny Story and liked it, I hope you please write us a review online! Or follow the film at FunnyStoryMovie.comto find out about our wider release plans in mid-2019! On behalf of the entire Funny Storyteam, I want to thank the Breckenridge Film Festival for their continued support in helping independent filmmakers. We were honored to win four awards at last years festival and so touched that our film resonated with the audience. Thank you!